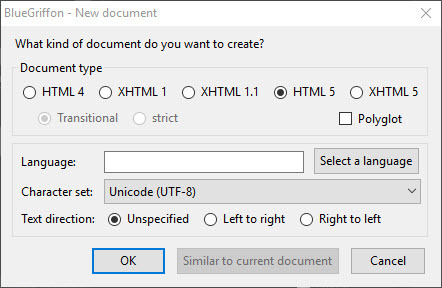 It supports HTML 4, XHTML 1.0, XHTML 1.1, html 5 (html), html 5 (xml), CSS 3 including 2D and 3D Transformations, Transitions, Shadows, Columns, Font Features and more. 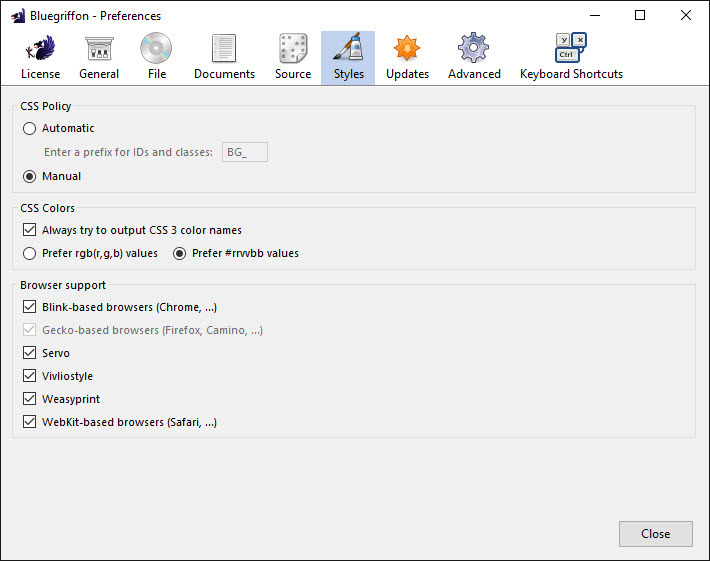 It is also supports CSS Variables, SVG and Internationalization Tag Set (ITS) 2.0. 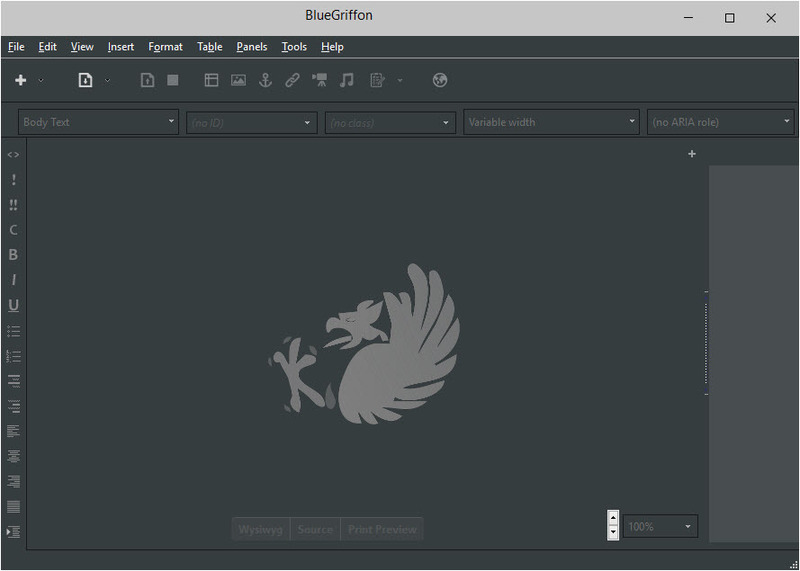 BlueGriffon paid version comes with CSS Editor with Media Queries, visual CSS Selector editor, Table Layout Manager with 44 predefined layouts, Toolkit Manager for one-click insertion, MathML Editor panel, Code Snippets panel, One-Click Templates Manager, Mobile Viewer, EyeDropper, a colorpicker , PUTter, Thumbnail manager and Word count warnings. This version cost €69.99. The downloaded windows installer file size is 35MB. It comes with dark and light theme. It also comes with a wizard base options to create new file for new users. The user interface is simple but it has some great features for any new web developers. The user interface is available in more than 20 languages. it also comes with Markdown support.